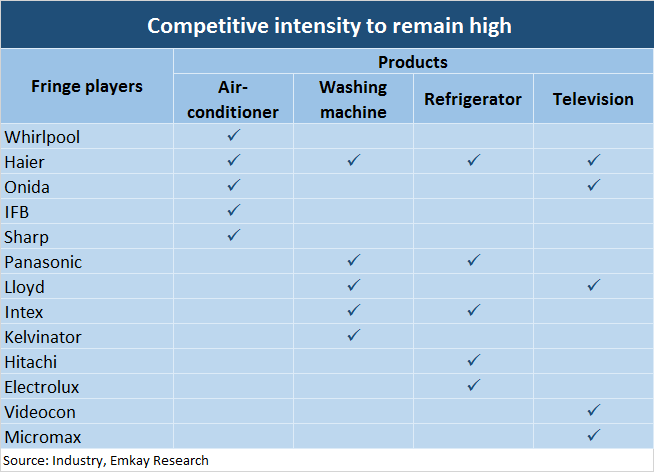 The competitive intensity in the consumer durables space is expected to stay high, given the rising pressure from existing as well as new entrants venturing into new categories. A new report by Emkay Global Financial Services said competition is expected to remain intense while distribution reach, brand presence and recall, economies of scale of large, established players should continue to remain. Pricing could also be impacted with the aggressive entry of Chinese players. This is especially true for the television segment where there has been a price war among companies online. 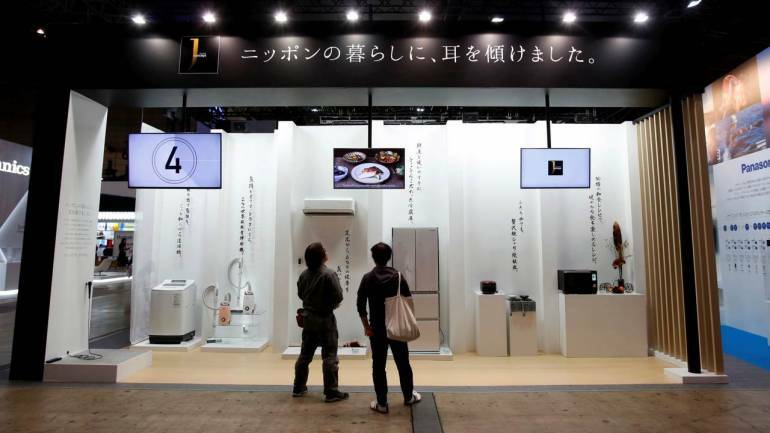 The report said Voltas Beko is the big player that recently entered consumer appliances and is extending the durables product range. After success in LED lighting and personal care products, Syska is now entering into cables and wires. In addition, many smaller players in various categories are expanding the reach in rural markets with low-cost products. “Price disruption by new entrants/fringe players has not impacted large players in the past, while the recent aggression by Chinese players in categories such as TVs has started to impact dominant players,” it added. Companies such as Havells, V-Guard, Crompton Consumers, Bajaj Electricals and IFB spend ~3-5 percent of sales as advertisements, which the report said is expected to remain at elevated levels going forward as well. The report said the deepening of dealership/distribution reach by established players and sustained lack of product innovation by fringe players will restrict any meaningful dent in the market share of established players. However, Emkay research said established brands cannot afford to go slow on new launches, aggressive pricing and continued after-sale service. It explained that competition across categories will continue to remain high as large companies’ race for market share is expected to continue. It said television, as a segment, has started seeing higher competitive intensity from new entrants and e-commerce platforms, which should adversely affect offline sales. Established players such as Sony, Samsung and LG have stated their intent to increase revenue contribution from premium products, while they have cut prices to compete with Chinese players in the small screen category. But the report also said competition from fringe players and new entrants (Chinese players) is expected remain high in rural areas as those markets will have healthy growth penetration increase going forward. Brands such as itel, TECNO, Infinix and Syinix are set to be launched in 2019. In addition, the report said large format stores such as Croma, Reliance Digital, eZone and Vijay Sales have started offering in-house brands of washing machines, air-conditioners, microwave ovens and have found wide acceptance among consumers. As per the report, these in-house brands contribute ~8-10 percent of their sales and the same also has better margins.